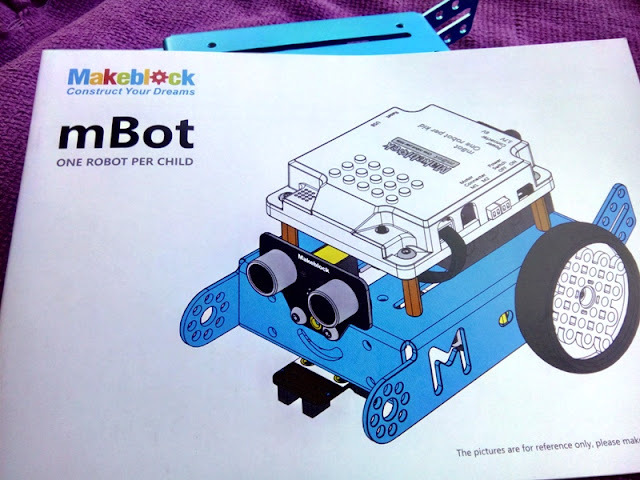 From the good old days of programming computer games with Game Maker 5 to programming robots such as Codey Rocky and mBot which is a quirky looking STEM robot for those who like tinkering with building programming kits! 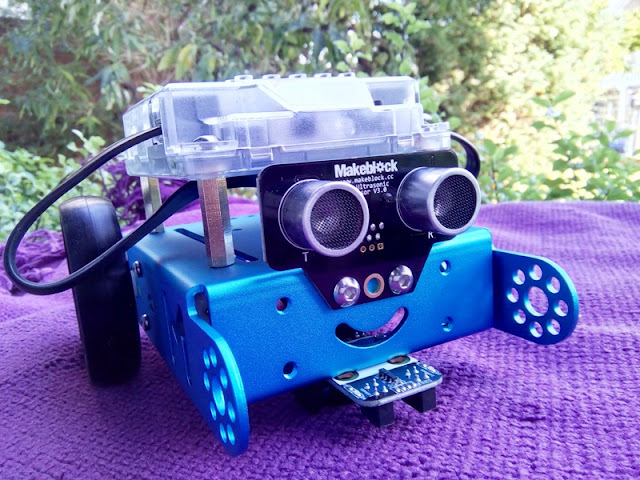 If you like the idea of toying with circuit boards, motors and wheels but have little or no coding experience, check out the MakeBlock mBot wireless robot car! 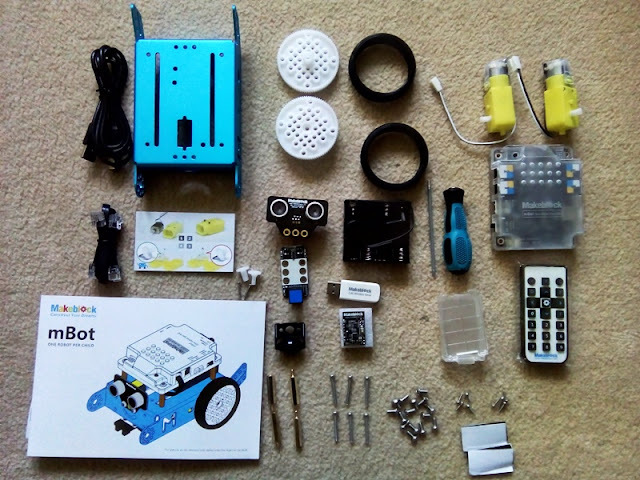 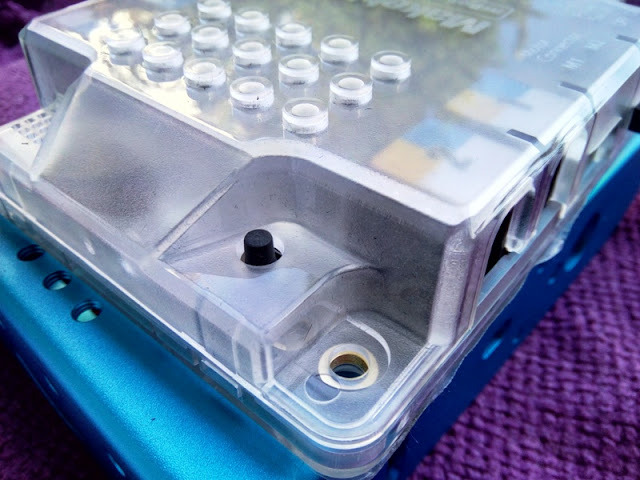 It's an Arduino, Scratch 2.0 and robotics all rolled into one straightforward solution! 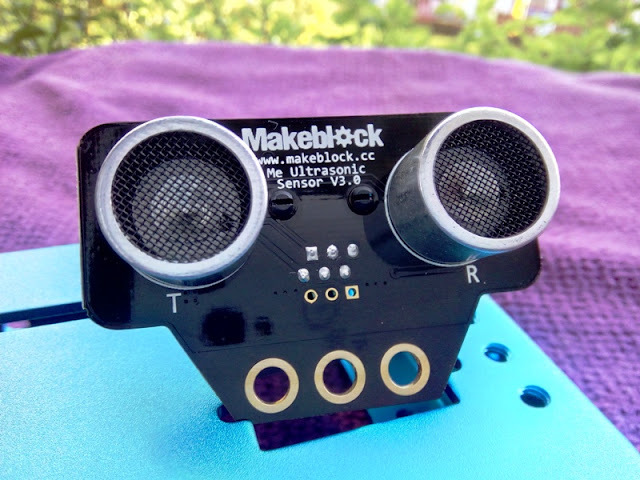 You should also check out the Airblock drone which is also a hovercraft rolled into one. 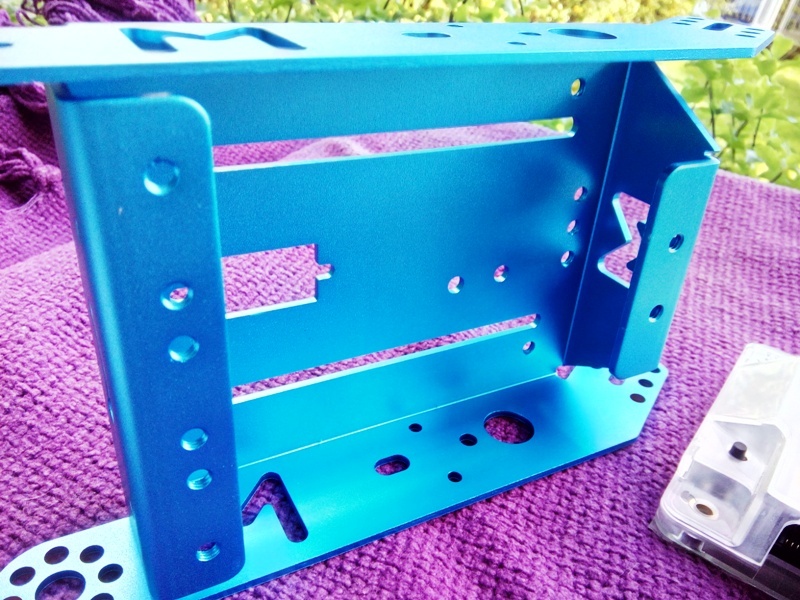 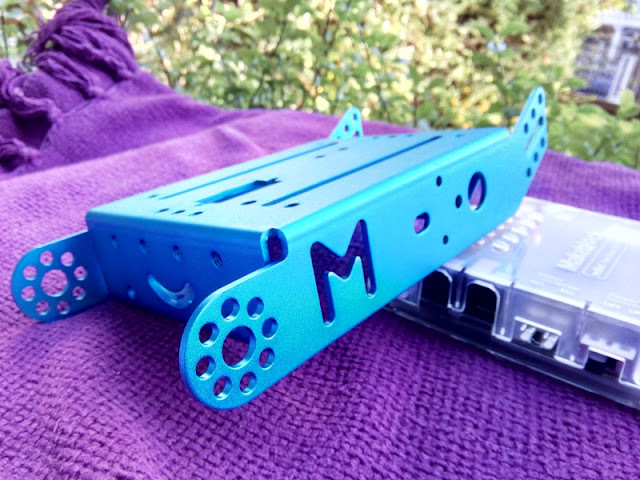 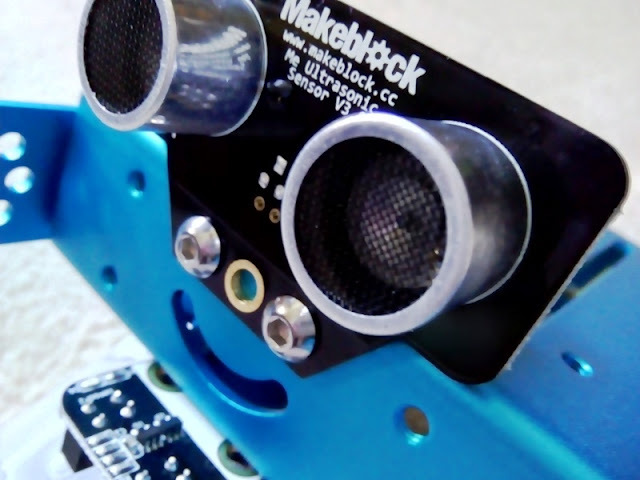 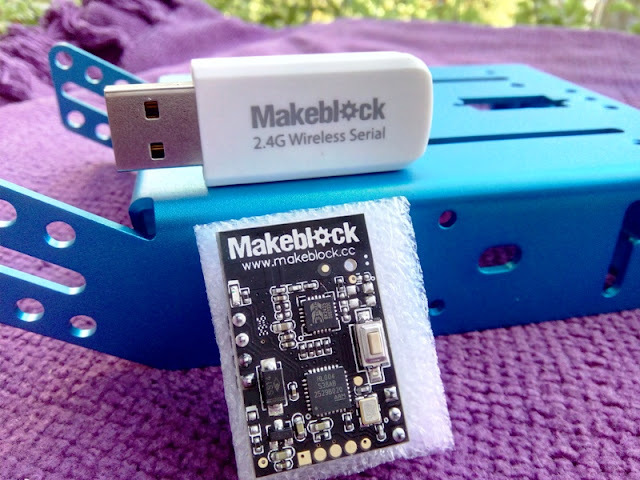 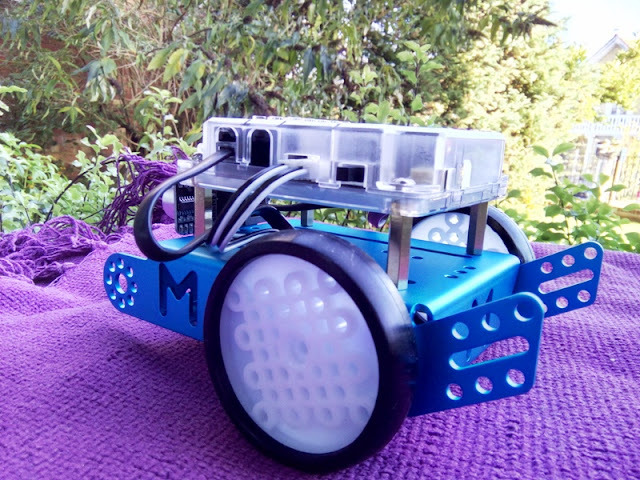 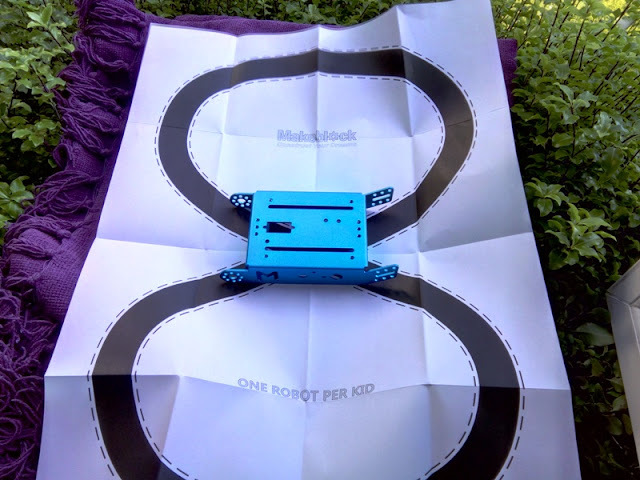 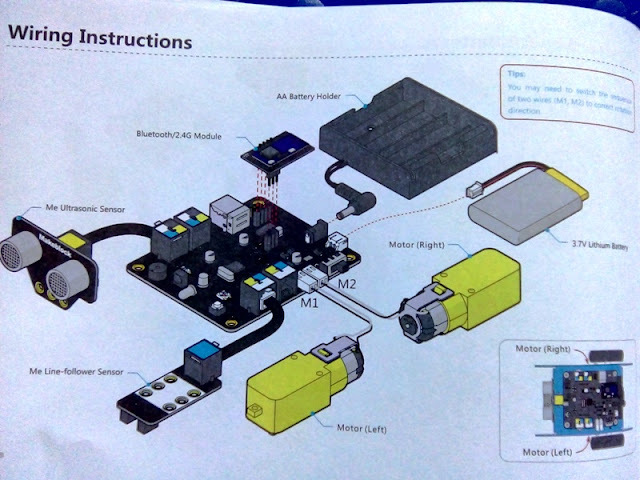 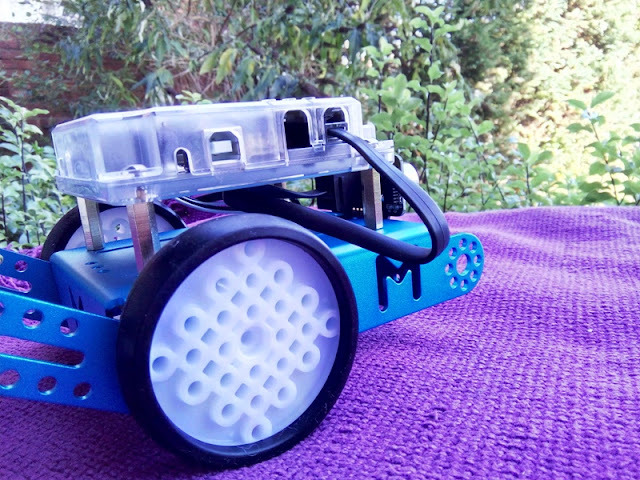 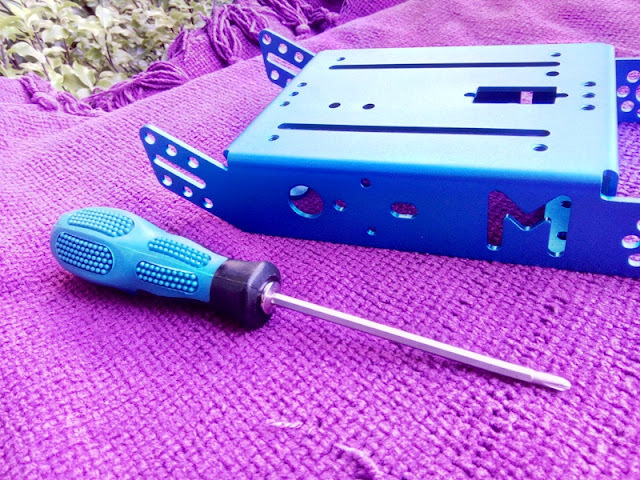 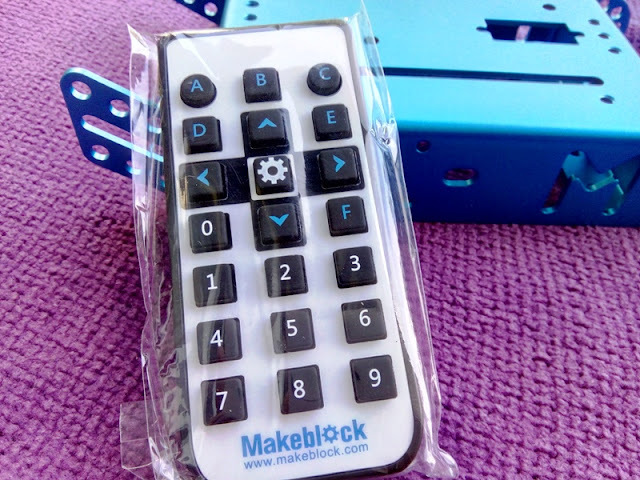 MakeBlock's mBot uses the mBlock programming software which is based on Scratch programming 2.0 so it automatically converts the code to an Arduino sketch program, ready to be uploaded on the mBot. 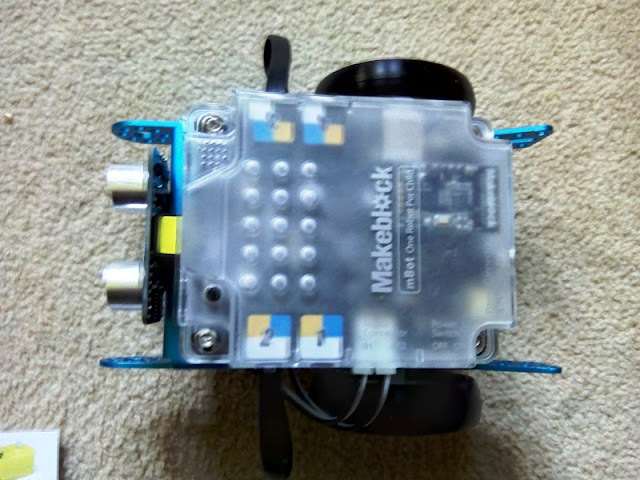 This is pretty cool since it makes it easy to see exactly what the graphical Scratch programming looks like in real text based code. 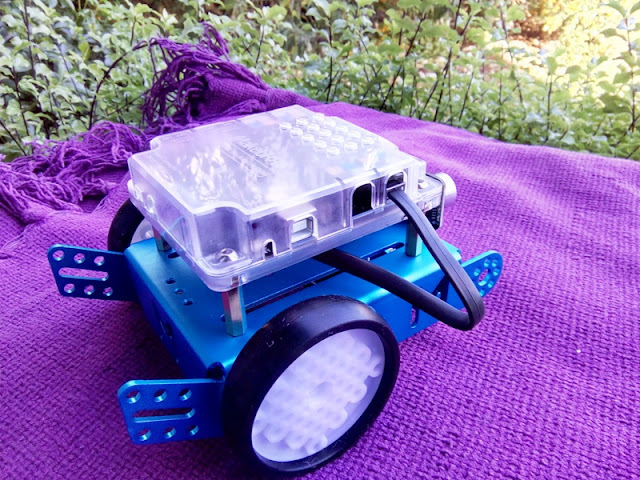 fully program speed, time, turns, lights, detect obstacles, etc. 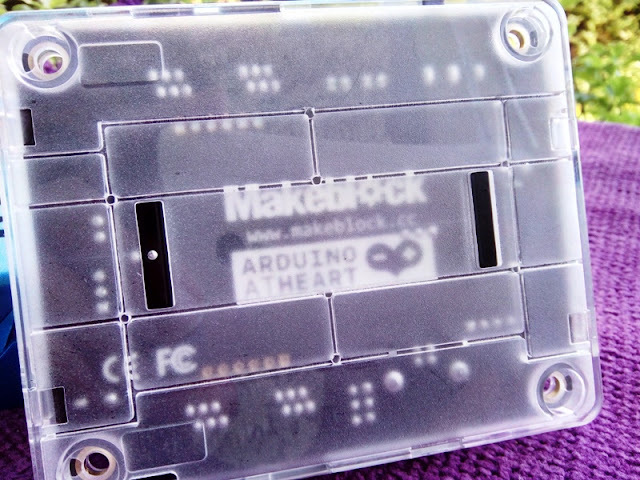 The brain of the MakeBlock's mBot is the mCore microchip which is an arduino-like board that really packs a punch! 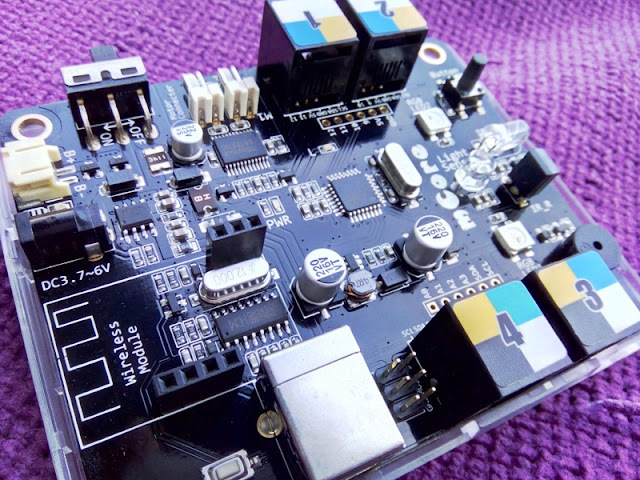 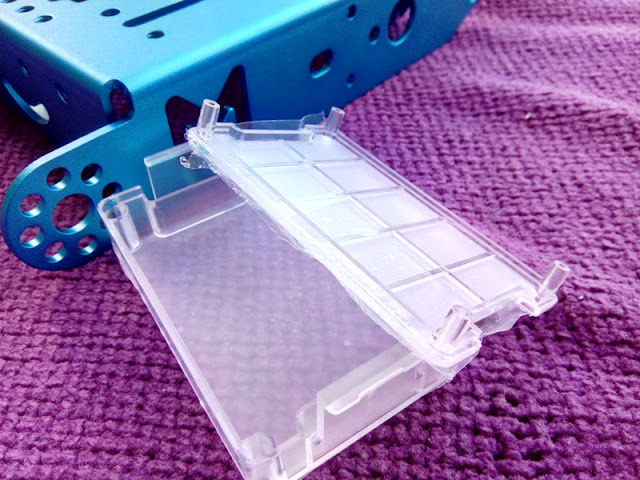 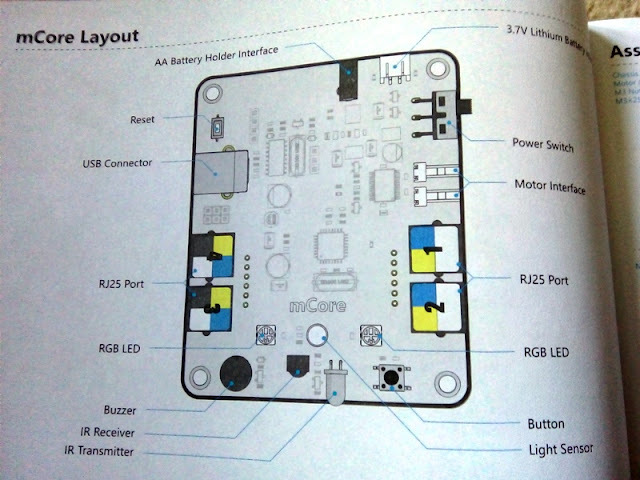 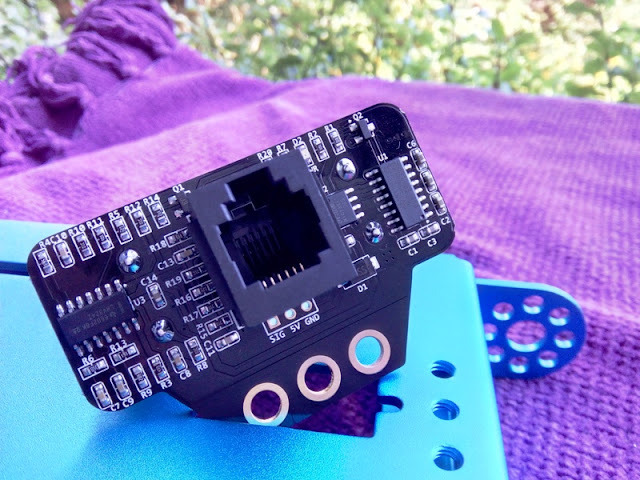 You get many neat extra features such as RGB LEDs, sound buzzer, IR receiver/transmitter, light ambient sensor, push button, four RJ25 Ethernet ports and a slot to insert a Bluetooth adapter or 2.4G WiFi module. 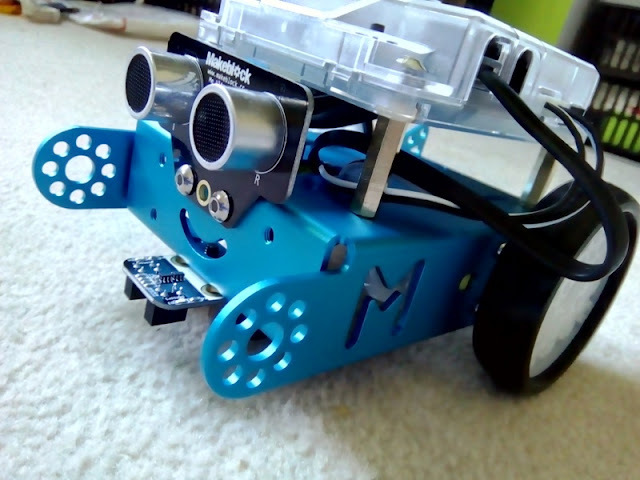 Programs are already pre-installed in the mBot. 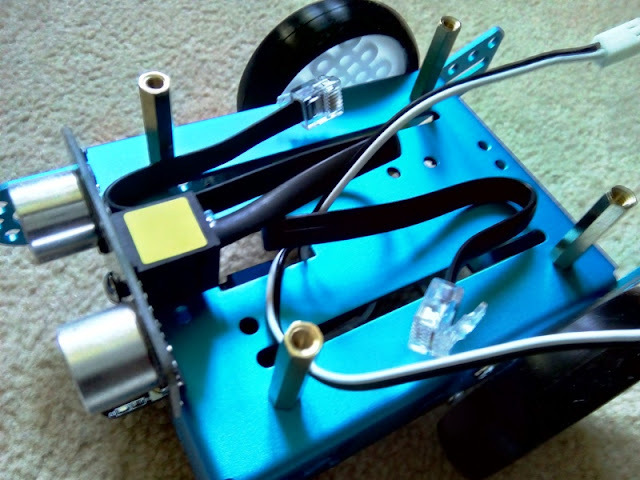 The coolest one is the Figure 8 racing track mode. 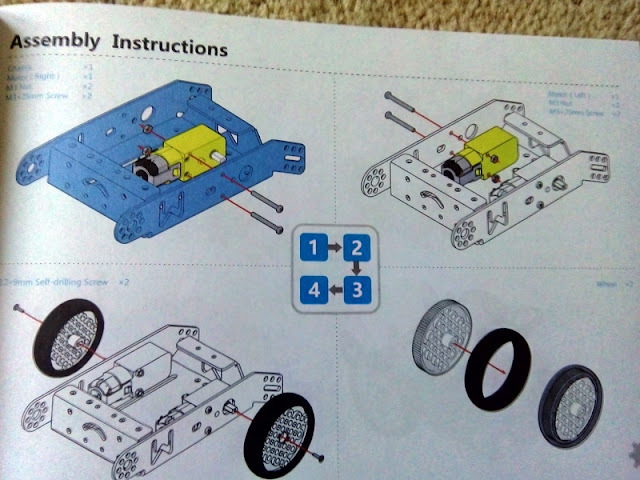 Now let's get on to the fun part, assembling the mBot! 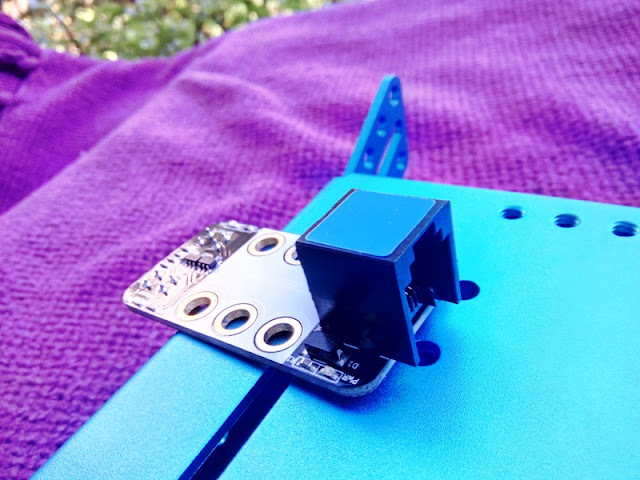 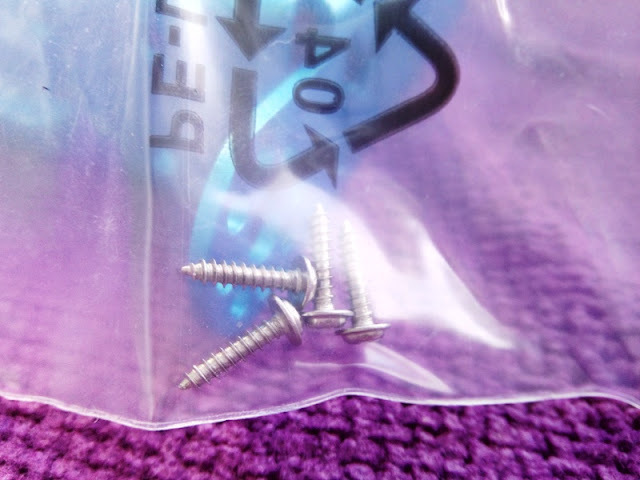 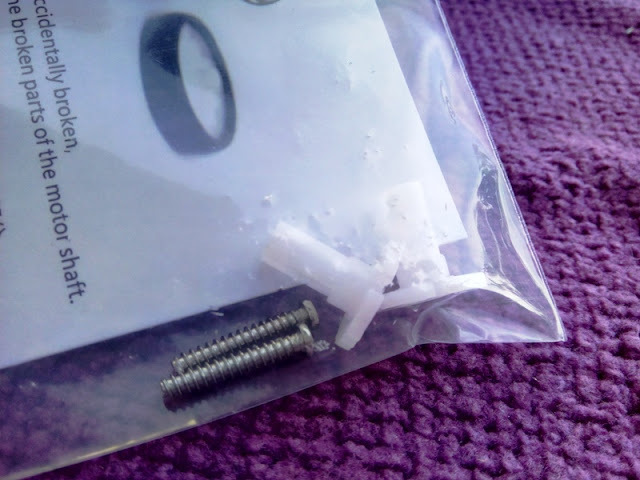 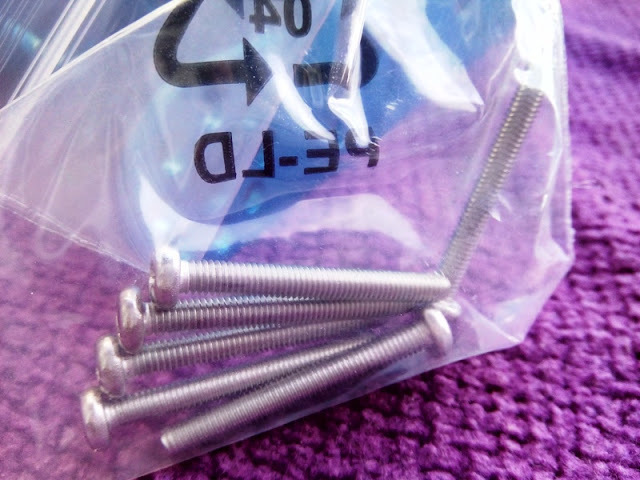 First, we secure the servo motors with the long screws. 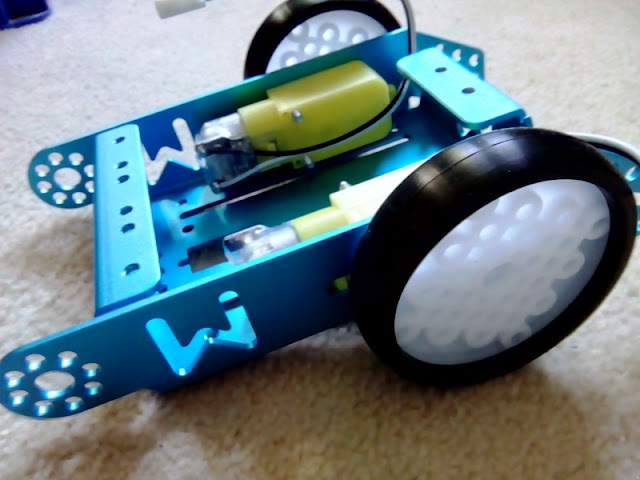 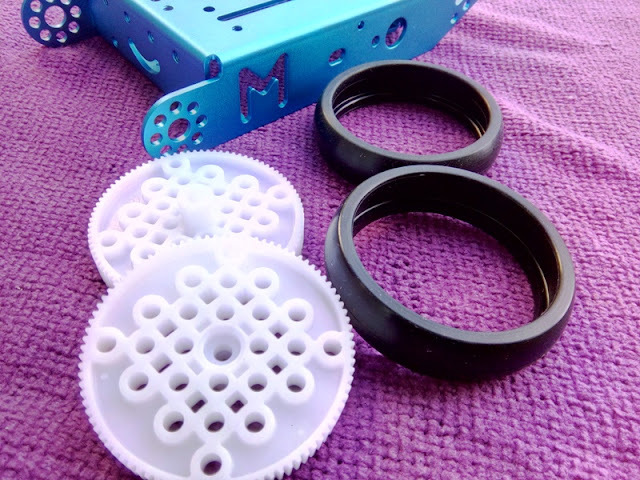 Insert the rubber tires onto the plastic wheel frames and secure the tires into the servo motors with small screws. 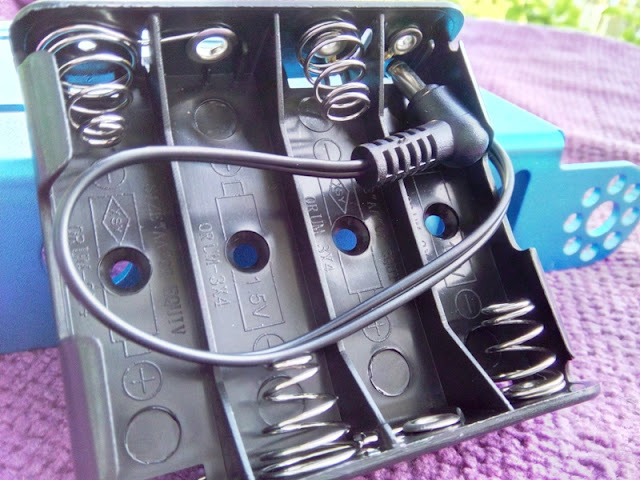 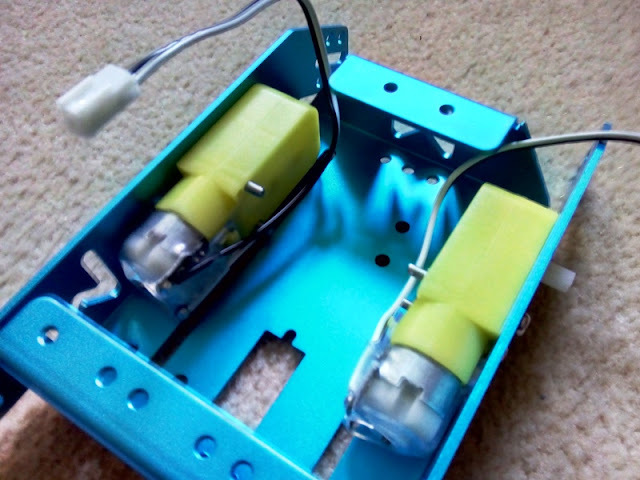 Connect the RJ25 cables and run the motor cables through the square opening. 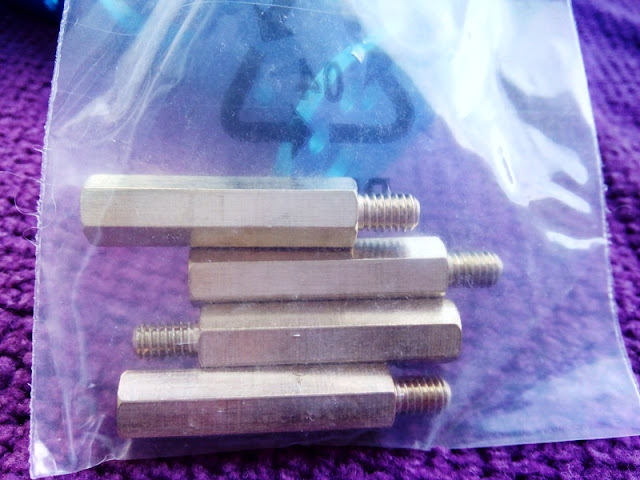 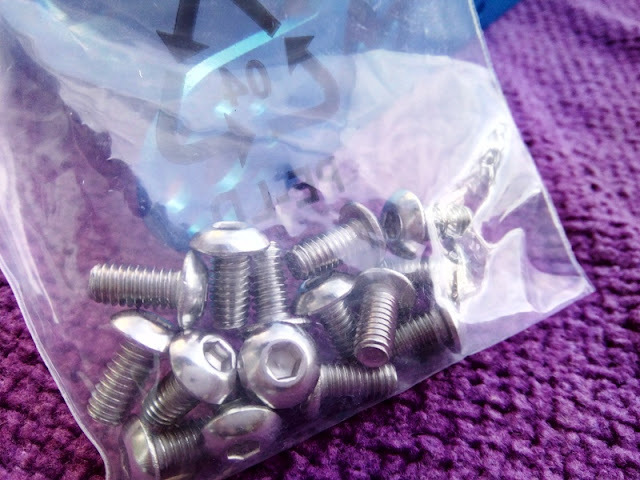 Then, screw the long posts as shown in the picture. 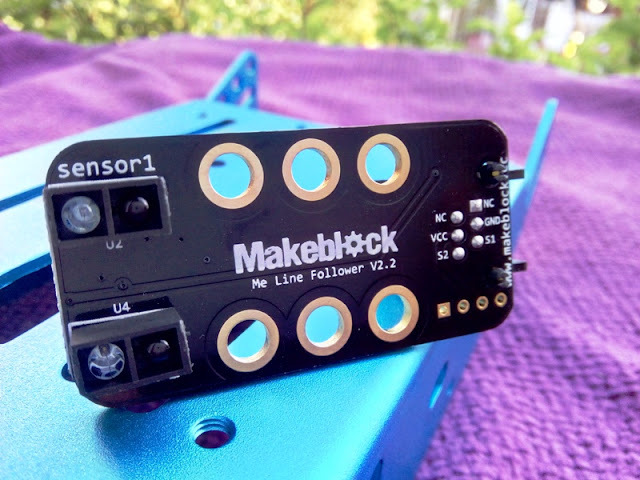 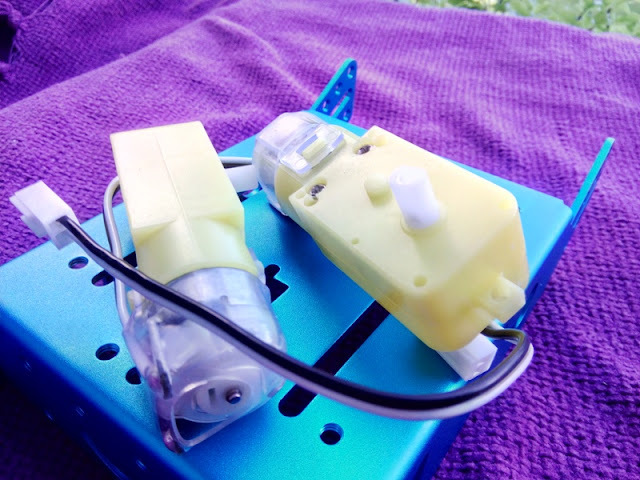 The line follower sensor connects to Port 2. 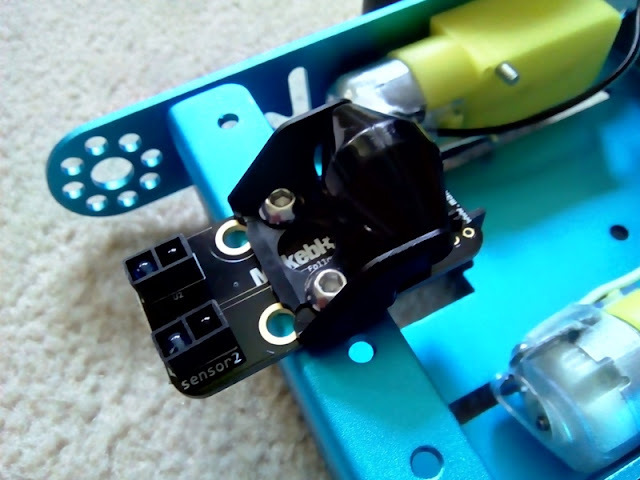 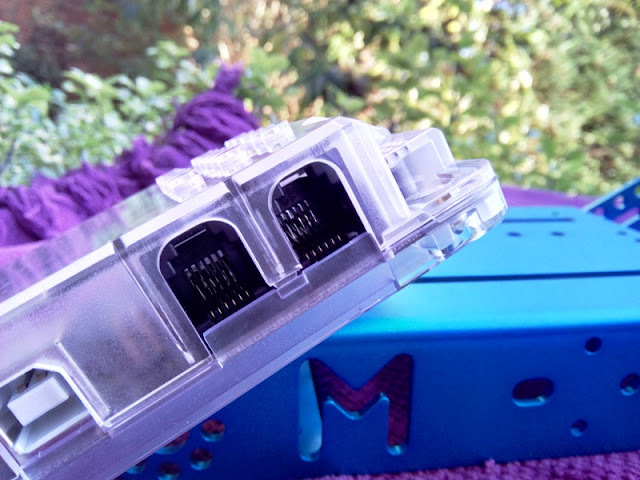 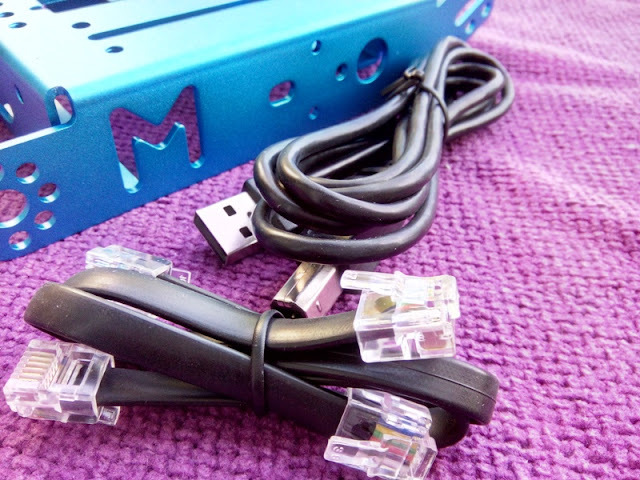 The distance sensor connects to Port 3, while the left and right motors connect to M1 and M2 respectively. 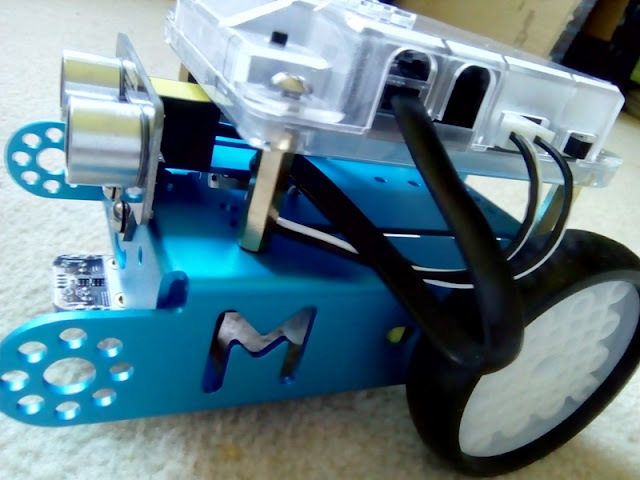 Here is the fully assembled mBot rolling out of the assembly line, ready for a test ride! 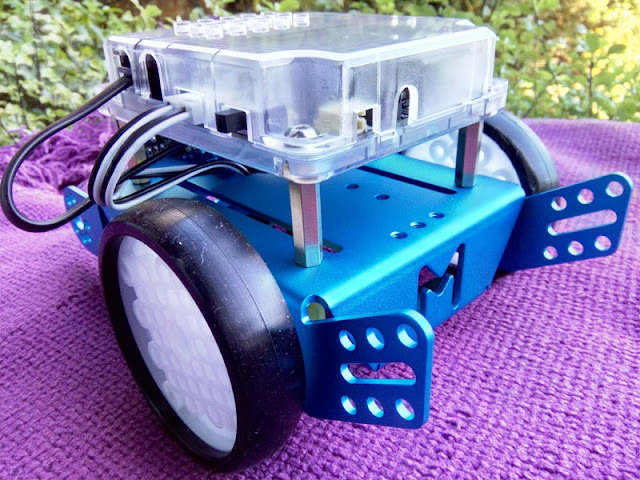 On Part 2, I will be programming and taking the mBot wireless robot car for a ride. Stay tuned!